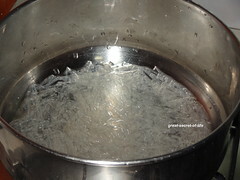 Boil the agar agar stick in a 1 cup of water for 7 to 10 mins or till it is melted Mash it well. Keep it aside. Peel the skin and cube the mango. 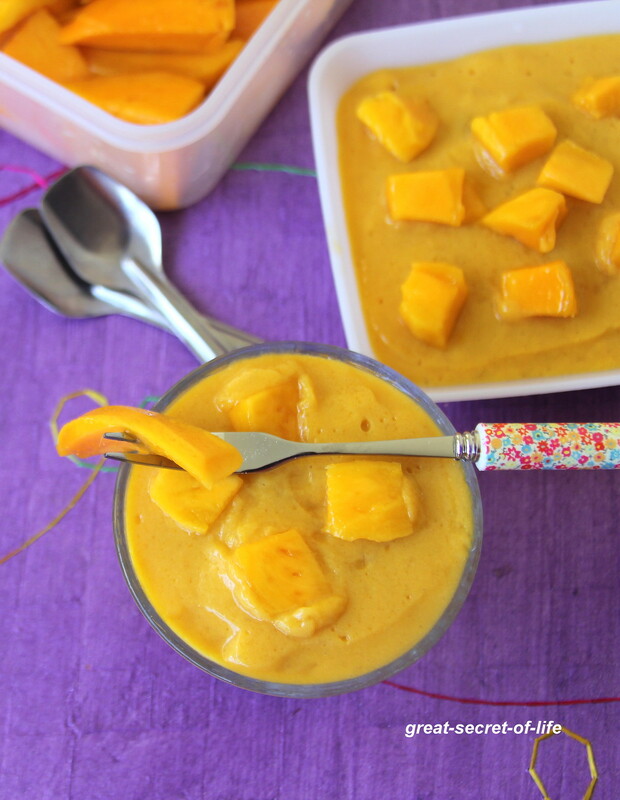 Reserve 1 tablespoon of mango for decoration. 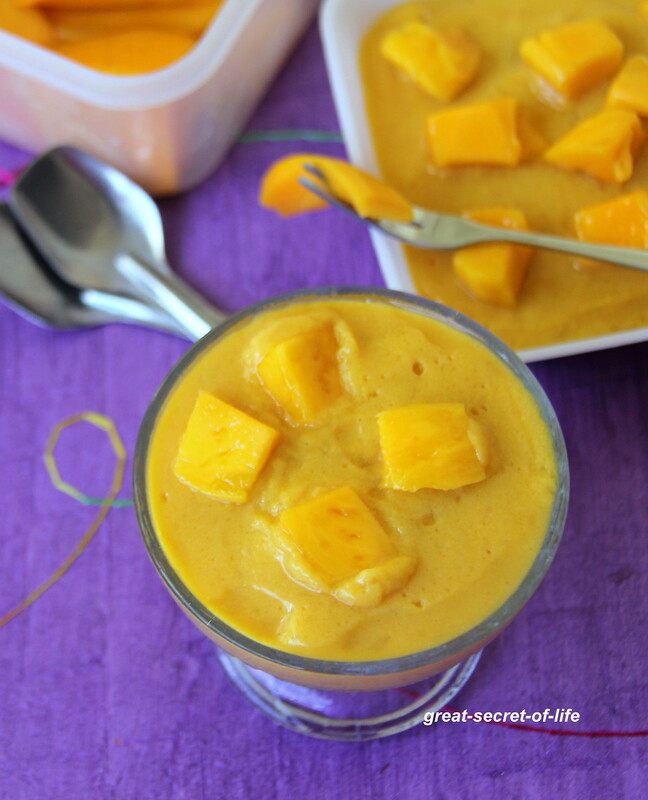 Make a mango puree with 1/2 cup of milk. Add rest of the milk, condensed milk and mix well. when the agar agar is warm add it to the mango puree. Pour them into serving bowl and refrigerate it for at least 4 hours or till it is set. 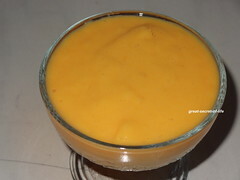 mango pudding looks divine.. yumm.. 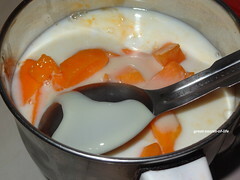 Very tempting dessert, perfect for the season..
Love agar agar desserts! This looks fantastic! 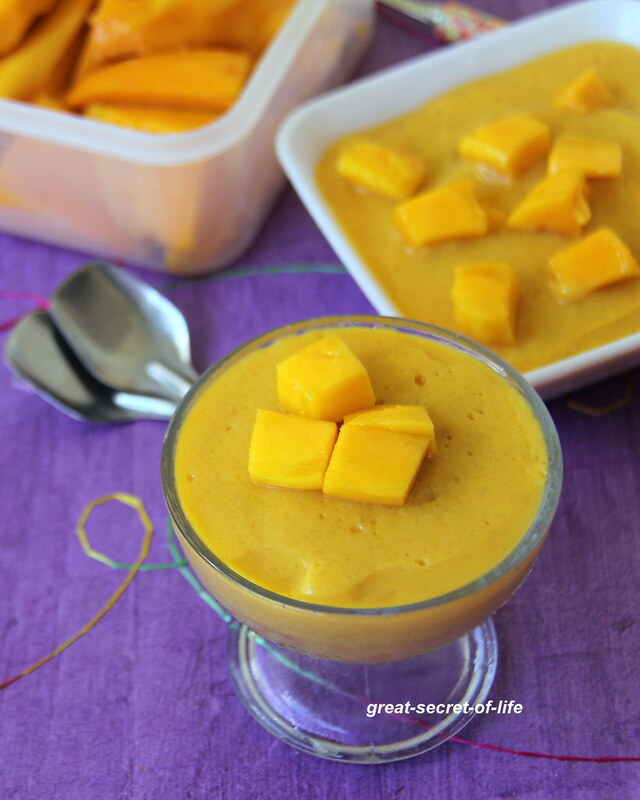 Delicious eggless mango pudding veena love it. I will try this time when I can get fresh mango. wow..Pudding is so tempting & the color looks awesome.. I'm your fan for your pictures!! this is yet another interesting clicks!! 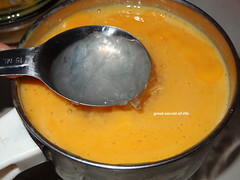 Delicious pudding, looks yummy and tempting..
mouthwatering one,love anything with mangoes..yummy! !